Observation - Unknown - UK and Ireland. Description: This bird spent a lot of time under the water and by the time I got a photograph it was heading out to sea so not a clear photo. I would appreciate any help with ID. 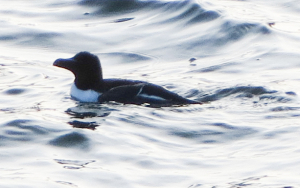 This bird spent a lot of time under the water and by the time I got a photograph it was heading out to sea so not a clear photo. I would appreciate any help with ID.